The Air Jordan 6 Retro Black Suede “Heiress” is set to release February 17th but can be picked up now with free shipping and no tax. 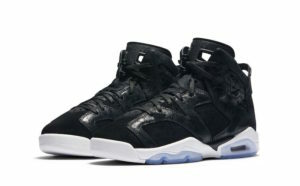 Unlike the previous Jordan Heiress releases the Retro 6 is dressed in black and white with premium suede rather than velvet. 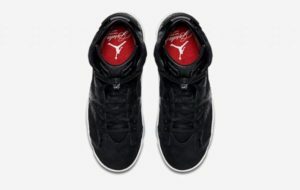 The jumpman logo on the heel is embossed, not stitched. As with previous Heiress releases the silhouette will be available only in GS sizes.